This is a book about video art, and about sound art. The thesis is that sound first entered the gallery via the video art of the 1960s and in so doing, created an unexpected noise. The early part of the book looks at this formative period and the key figures within it - then jumps to the mid-1990s, when video art has become such a major part of contemporary art production, it no longer seems an autonomous form. Paul Hegarty considers the work of a range of artists (including Steve McQueen, Christian Marclay, Ryan Trecartin, and Jane and Louise Wilson), proposing different theories according to the particular strategy of the artist under discussion. Connecting them all are the twinned ideas of intermedia and synaesthesia. Hegarty offers close readings of video works, as influenced by their sound, while also considering the institutional and material contexts. Applying contemporary sound theory to the world of video art, Paul Hegarty offers an entirely fresh perspective on the interactions between sound, sound art, and the visual. Soundings: A Contemporary Score investigates the ways in which some of the most innovative contemporary artists are working with sound today. These artists approach sound from a variety of disciplines--visual arts, architecture, performance, computer programming and music--yet they share an interest in working with, rather than against or independent of, a given situation or environment. Ce livre est une histoire de la création sonore au XXe siècle et des ses auteurs, précurseurs d'’une pensée sonore révolutionnaire et fondateurs d’une nouvelle manière d' ’« organiser » et de composer les sons. 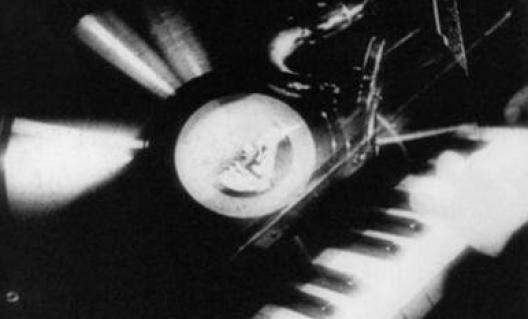 Cette étude permet de reconsidérer un pan tout entier de la création sonore dans les grands genres cinématographiques, (fiction, animation, documentaire, expérimental) ; de la période qui précède l'’avènement du cinéma sonore, en 1926, en passant par la naissance du design sonore, le service de la recherche de l'’ORTF et le cinéma d’'auteur à la fin du XXe siècle. Le propos de l’'ouvrage est illustré par un grand nombre d'’images. Remix Theory: The Aesthetics of Sampling is an analysis of Remix in art, music, and new media. Navas argues that Remix, as a form of discourse, affects culture in ways that go beyond the basic recombination of material. His investigation locates the roots of Remix in early forms of mechanical reproduction, in seven stages, beginning in the nineteenth century with the development of the photo camera and the phonograph, leading to contemporary Remix culture.